The NFL draft is in two days and teams are still scurrying to move players up and down their draft board. Some of those players will be moving up and down based on review of film and performance numbers at the combine while others will more than likely drop due to character issues. Although former Missouri defensive end/outside linebacker Shane Ray is ranked as the 17th best prospect in the draft by Scouts, Inc., he may see his stock fall on Thursday after being cited for possession of marijuana after being pulled over for speeding. Even though he was not smoking pot, the fact he possessed it shows intent to use or sell which is enough to make some teams leery. What was Ray thinking? Unfortunately for NFL teams, he is not the only player who may fall down draft boards. At the NFL Combine, former Nebraska defensive end Randy Gregory failed a drug test at the NFL combine in February. Gregory received a letter from the NFL on March 25 stating he had tested positive for marijuana. Before the letter, Gregory was viewed as a top five pick. Now, he may see himself fall in the draft and cost himself millions of dollars. The sad part is Gregory said he hasn’t smoked since December and blames it on the high use of marijuana on the Nebraska campus and that he must have tested positive because of second-hand smoke. Yeah, dude. That sounds real believable. A year ago, a reported ten players tested positive for marijuana including current Tennessee Titans’ quarterback Zach Mettenberger and current Baltimore Ravens’ defensive end Timmy Jernigan. Dropping in the draft may cost someone millions, but sometimes that player may end up on a better team and it works out for that player as was the case with NFL Hall of Famer Warren Sapp who failed a drug test at the 1995 NFL combine. Sapp was being discussed as a possible first overall pick in that draft, but fell to pick twelve by the Tampa Bay Buccaneers. In the week leading up to the draft, it was reported that Sapp had tested positive six times for marijuana use and one time for cocaine while at the University of Miami. Obviously, the Buccaneers took a chance on Sapp and received a productive player who made the Pro Bowl seven out of his 12 NFL seasons, but Sapp cost himself millions of dollars by dropping in the draft. Ironically, Sapp declared bankruptcy in 2010 and is currently without a job after being terminated by the NFL Network after being arrested for soliciting a prostitute and an alleged assault the day after this year’s Super Bowl. 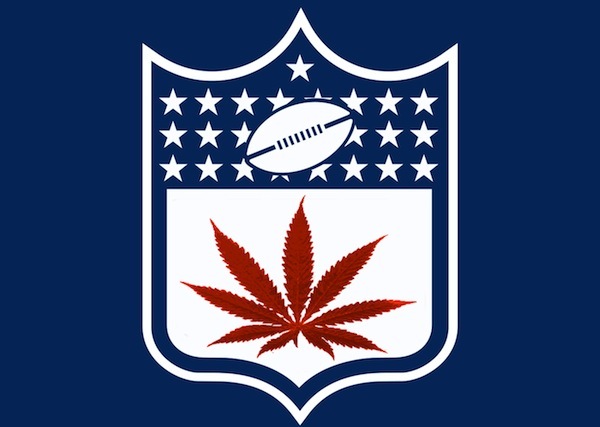 The NFL is doing its best to police drug use in the NFL. While many believe smoking weed is no big deal and it should be legalized in the United States, the fact is marijuana use is illegal in the states. Why players would jeopardize their career before it starts is beyond me. Anyone who tests positive at the NFL combine is now subject to more drug testing than their peers. This doesn’t sound like these players think they will get caught- they have the “it can’t happen to me” syndrome. Well, if they need more clarity than they get smoking weed, these prospects and current NFL players need to look no further than Cleveland Browns’ wide receiver who has violated the NFL substance abuse policy and may have smoked his way out of the league. « Does Chelsea’s Eden Hazard Have What It Takes to Become the World’s’ Best Footballer?